Bring your appetite for the best deal on the block! Every day choose one appetizer, one entree and one dessert from our menu. See some great reviews here! I previously dined at Charcoal on a regular evening and based on that 5/5 experience (great food, service and cocktails) we elected to have our team holiday party there this year. ~50 people, private evening - food 10/10, service friendly, attentive and the duration was perfect. Also a shout out to the bartender for keeping everything flowing perfectly all night. Thanks Charcoal for a great evening! FOOD FROM a chef driven, fresh ingredient kitchen served in a contemporary bistro setting LOCATED ON HISTORIC SOUTH GAYLORD STREET. Charcoal Bistro prides itself on contemporary cuisine in a relaxed bistro-like atmosphere. 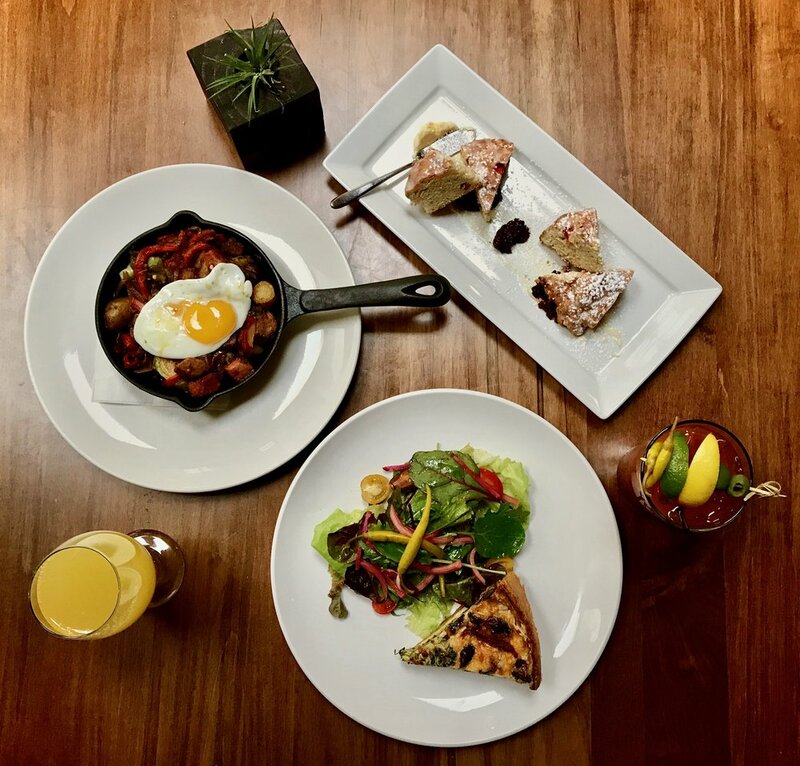 New to the popular Wash Park and South Downing neighborhood dining scene, Charcoal Bistro's Chef driven kitchen believes in serving our guests the freshest seasonal ingredients with wine and cocktails made perfect for every occasion. Charcoal Bistro is perfect for everything from date night to family gatherings, Charcoal Bistro strives to be that neighborhood spot where you can relax and enjoy life, conversation and a delicious meal with your friends and family. Weeknight Prix-Fixe, Happy Hour and boozy brunch specials are sure to be a reason to visit again and again. Our menu gives a nod to Scandinavia thanks to the Swedish upbringing of our Executive Chef, Patrik Landberg. Our menu is fresh and seasonal. As it changes frequently, please contact us to confirm the most recent menu. *These items are served raw or under cooked, or may contain raw or under cooked ingredients; consuming raw or under cooked meats, poultry, seafood, shellfish or eggs may increase your risk for food borne illness. Not all ingredients are listed, please let us know of any food allergies or other dietary concerns. $10 per person for same day of cancellations) No Substitutions. Full menu also available. Call (303) 953–8718, or book online with OpenTable.